In honor of National Donor Day, we’re sharing the story of tight-knit siblings Vanessa and Luis. Luis and Vanessa during part of the transplant process. Vanessa is a bright 6 year old who loves playing hide and seek, going to school and swimming at the beach near her California home. This Family Reach hero has not had an easy path. Vanessa had a liver transplant when she was only a few years old. She then developed aplastic anemia, a rare condition in which the body stops producing enough white blood cells, and has since been diagnosed with acute myeloid leukemia. Vanessa lives with her hardworking parents and three siblings – two older brothers and a baby sister. It’s a house full of love, playful shenanigans and support as this tight-knit bunch rally around Vanessa and do whatever it takes to get her well. Vanessa’s mother has continued working while her father puts his career on hold to care for her at all times. Vanessa’s doctors decided a bone marrow transplant was in order. They turned to the family to see who might be a match. When it was discovered that 13-year-old Luis was a fit, this fearless brother didn’t think twice. 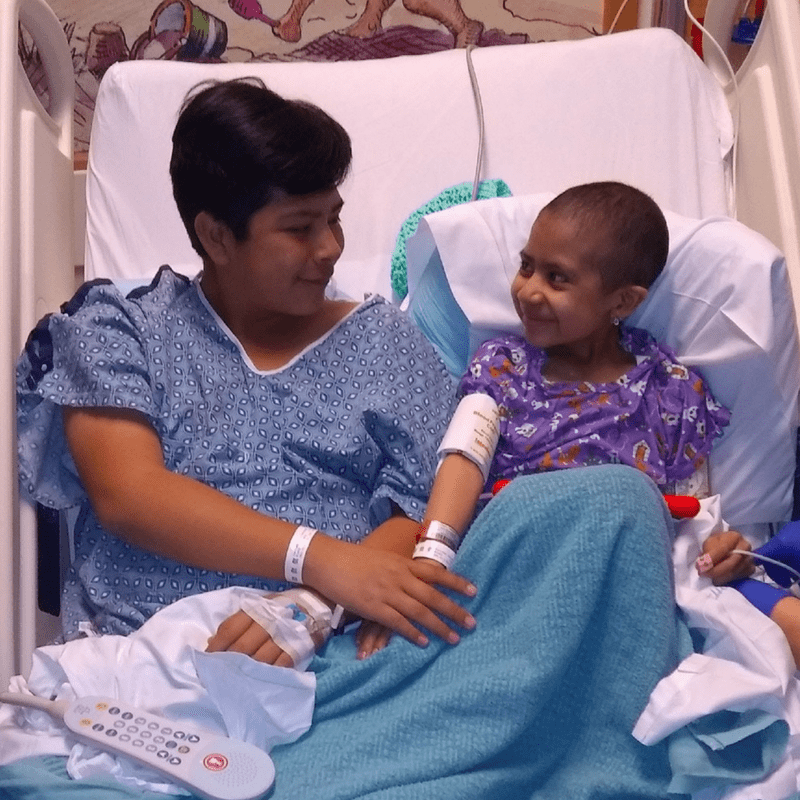 Luis joined his sister at Rady Children’s Hospital in January to provide Vanessa with the life-saving support she needed. “I was just so happy I could do something good for my sister,” says Luis. It’s amazing inspiring relationship, one that Luis and Vanessa’s parents are grateful to see among all of their children. This National Donor Day, support more brave families like Vanessa’s. Become a Key Holder.